The Guibord Center opened officially in February 2011 with “The Inaugural Event: Breaking the Barriers” at St. John’s Cathedral. St. John’s was home for our events and meetings for our first five years. 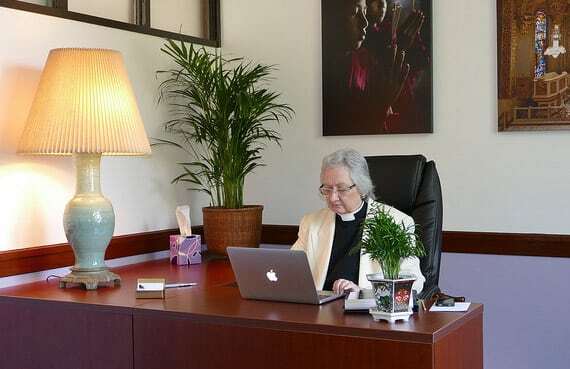 In June 2015 we were invited to have our offices at First Congregational Church Los Angeles. These new offices provide a wonderful home for our staff, our records, our community outreach, and our work on all the programs you have come to love and anticipate from us. While our offices are at First Congregational Church, we will continue to hold most of our programs at St. John’s Cathedral. We remain grateful to the leadership and community of St.John’s for their gracious invitation to do so. First Congregational Church of Los Angeles was founded in 1867, and is the oldest Protestant church in continuous service in Los Angeles. Located on the third floor near the Pilgrim School, we are excited to be a part of this bustling community. Make an appointment and come visit us soon. 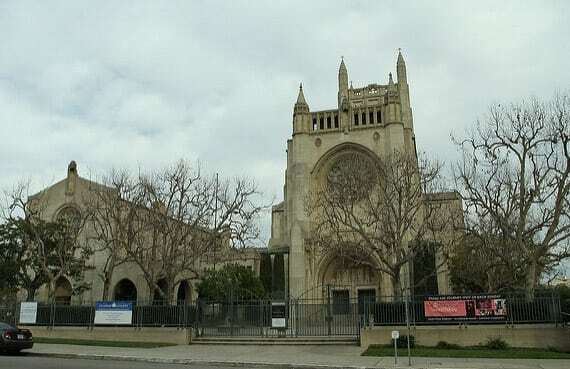 The Guibord Center is not affiliated with the Episcopal Diocese of Los Angeles, the Episcopal Church USA, the Congregational Church or ANY individual religion or faith tradition.